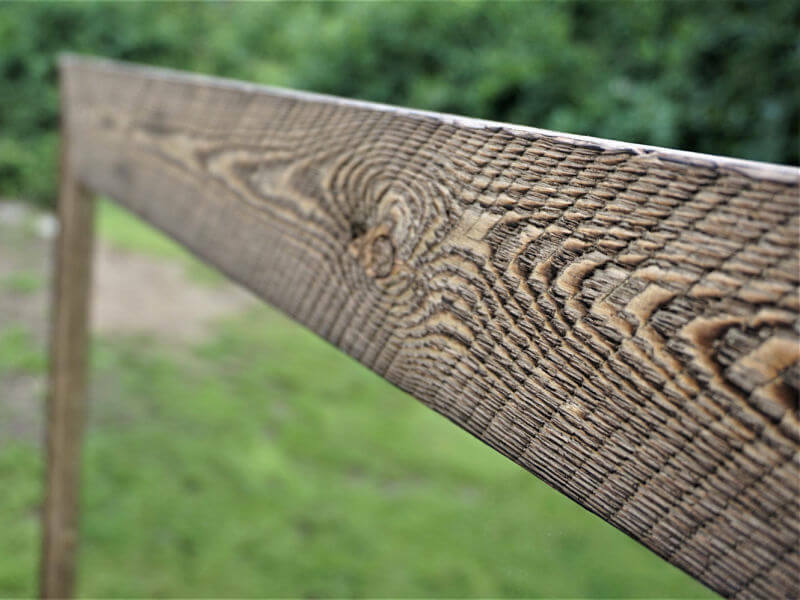 Are you in love with the natural materials? Do you believe that wooden home décor is the best for your interior design? 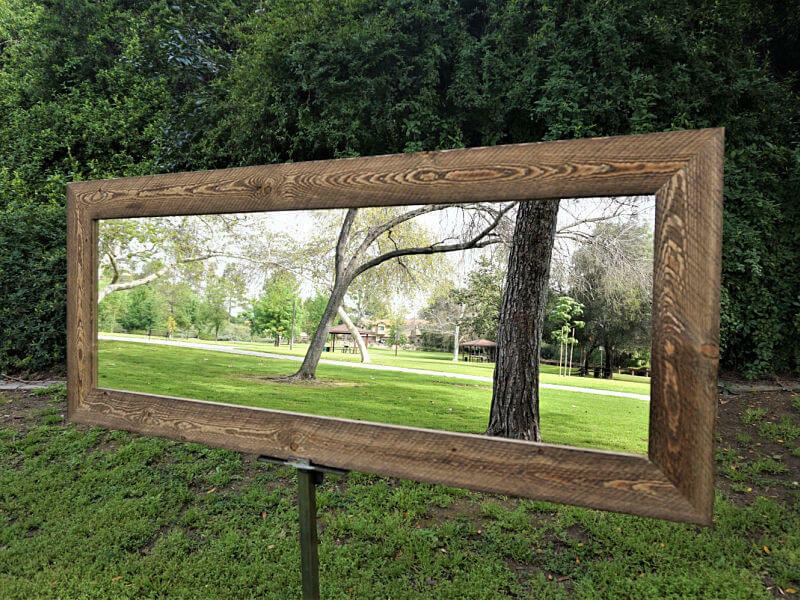 Then you will be charmed by the natural beauty of our barnwood mirror. 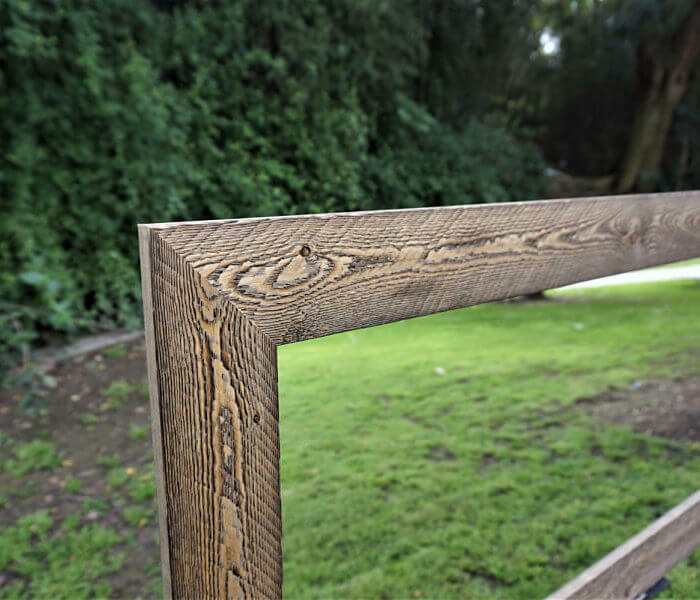 Wood frame is gorgeous just the way it is. SKU: n/a. Category: Mirror Category. 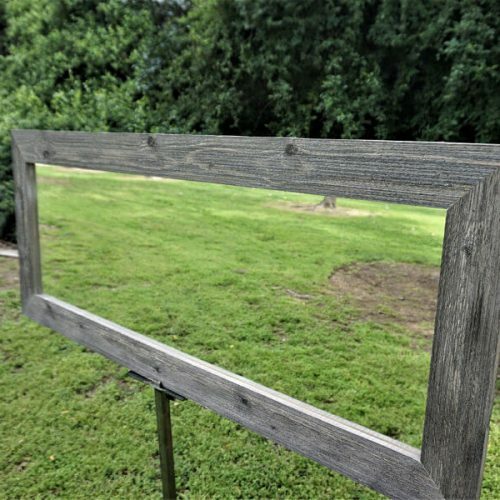 Tag: BARNWOOD MIRROR. The most stunning ornaments are created by the nature, not by people. 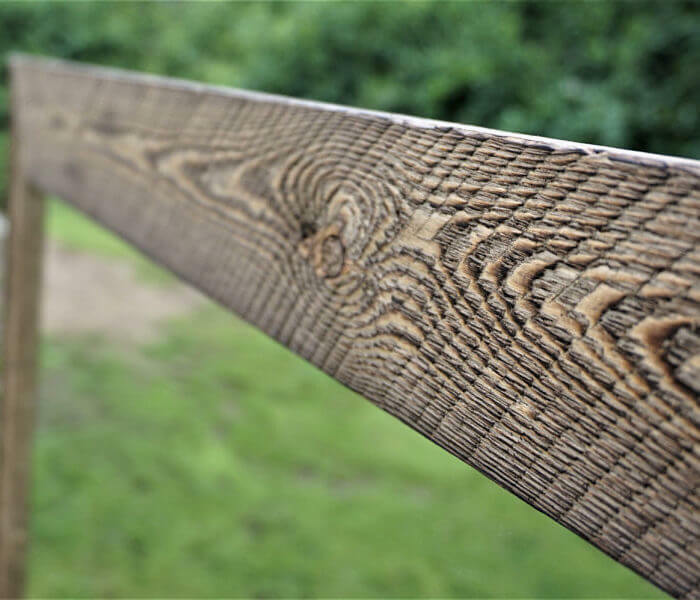 However, talented designers are able to take a piece of the wood and transform it in a work of art. 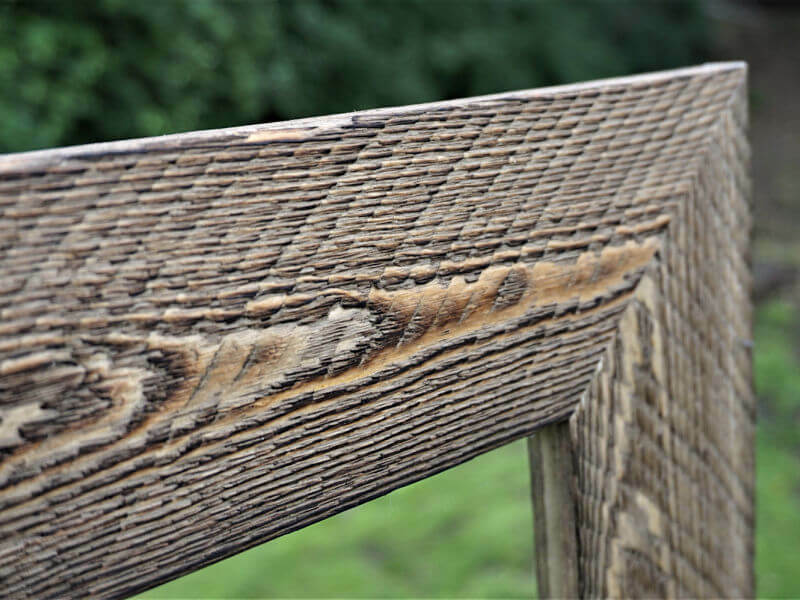 Barnwood mirror is a great example of such modification. 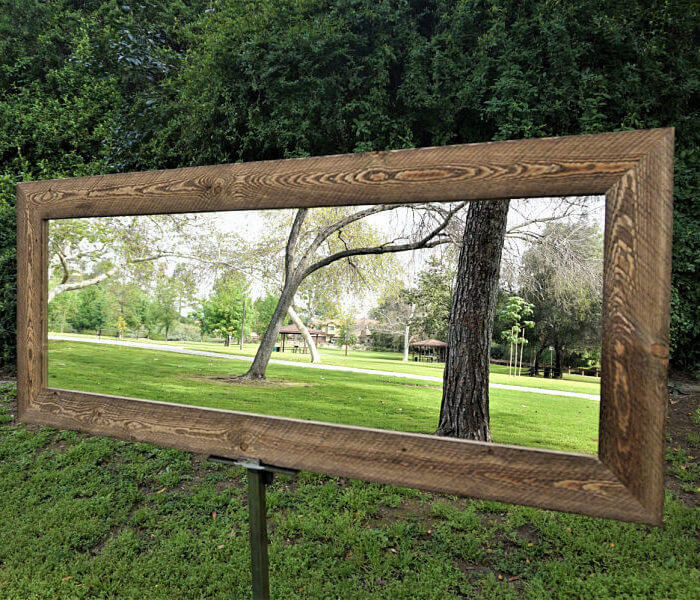 High quality wooden materials become a noble frame for the mirror. 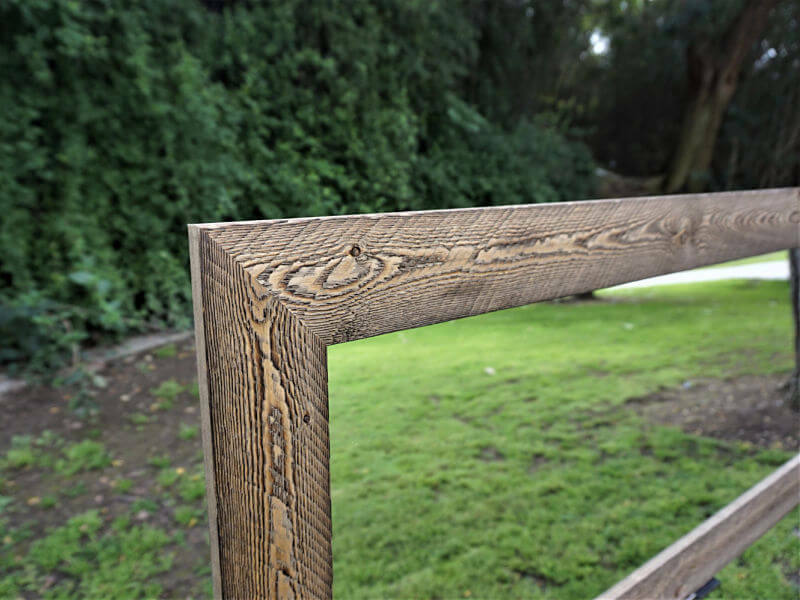 Designer can only highlight the beauty of the wood, by choosing the right size and shape of the barnwood mirror frame. 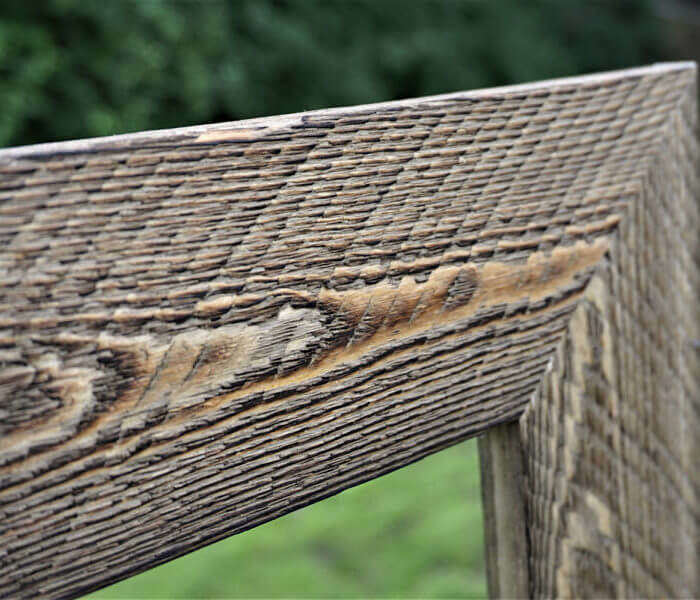 The master also adds some diagonal strokes to create the ribbed texture and make the mirror look special. 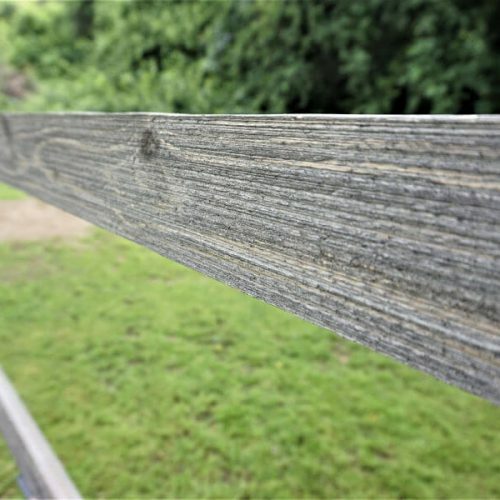 In addition, natural walnut color is gorgeous, and for this reason we should not try to change it. Barnwood mirror can complement any interior design; hence, you can hang it in your bathroom, bedroom or living room. In this way, the part of the forest will become an integral part of your home design. Consequently, bringing more eco-friendly materials to your house, you will feel more comfortable!